Products for people wanting quicker, better results using low-impact, high-resistance therapy and workouts for rehabilitation from injury, training, conditioning, fitness and weight loss. Products for canines and small animals that provide the natural properties of water with a rigorous cardiovascular workout, resulting in reduced impact and stress on joints. Products for the advanced development of equine athletes of all disciplines looking to improve recovery time, endurance, muscle strength, and overall performance and conditioning. Discover the benefits of water for quicker outcomes with Hudson Aquatic Systems. See our products on location at our customers’ facilities, as well as helpful service videos. Learn about the history and experience that makes Hudson Aquatic Systems your best choice. Find out how Hudson Aquatic Systems supports your business. Connect with the Hudson sales team, and if you’re ready to get started, fill out the Request a Quote form. Either way, we look forward to talking to you. Welcome to our convenient online store where you can shop for accessories, chemicals and other supplies for your underwater treadmill system or therapy pool. Hudson Aquatic’s commercial therapy and performance pools are designed in a variety of sizes, configurations and options, like spa jets and resistant swim currents, to provide a complete workout. AquaPools is perfect for sport teams and individuals wanting gentle swimming during rehabilitation or high-energy workouts with faster, safer results. Hudson’s beam pools are unique because optional viewing windows allow the therapist or trainer to accurately monitor the patient’s or athlete’s gait and range of motion. The beam pools give flexibility during installation since their components can pass through a standard doorway or windows making it simple to add a pool to your existing commercial facility. In-ground, above-ground and partially above-ground pool designs, as well fiberglass designs available. 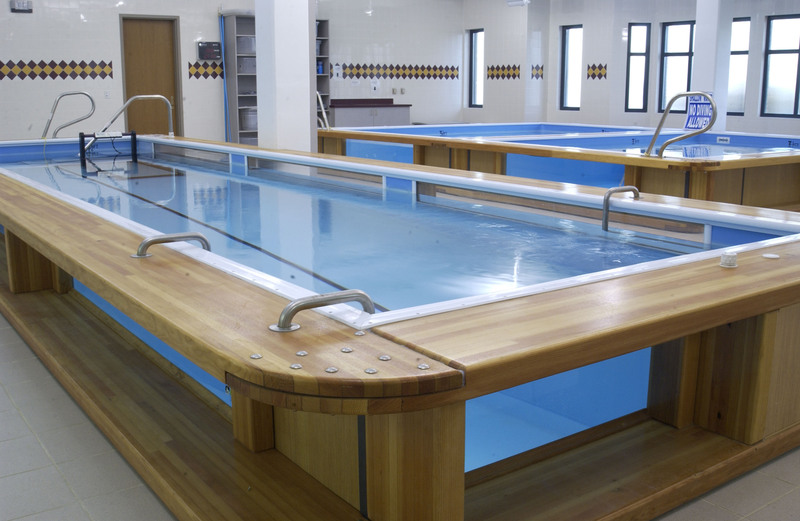 Contact Us about custom therapy pools and which design best fits for your facility. Copyright © Hudson Aquatic Systems LLC.